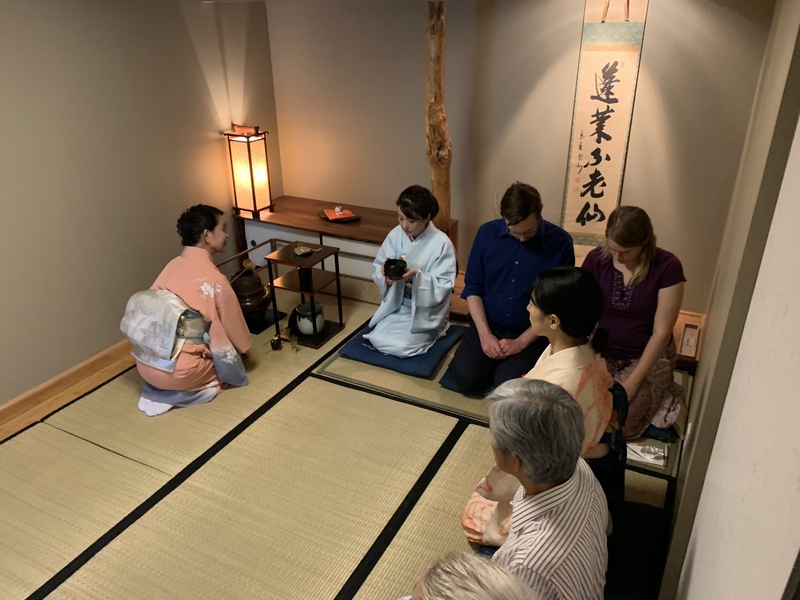 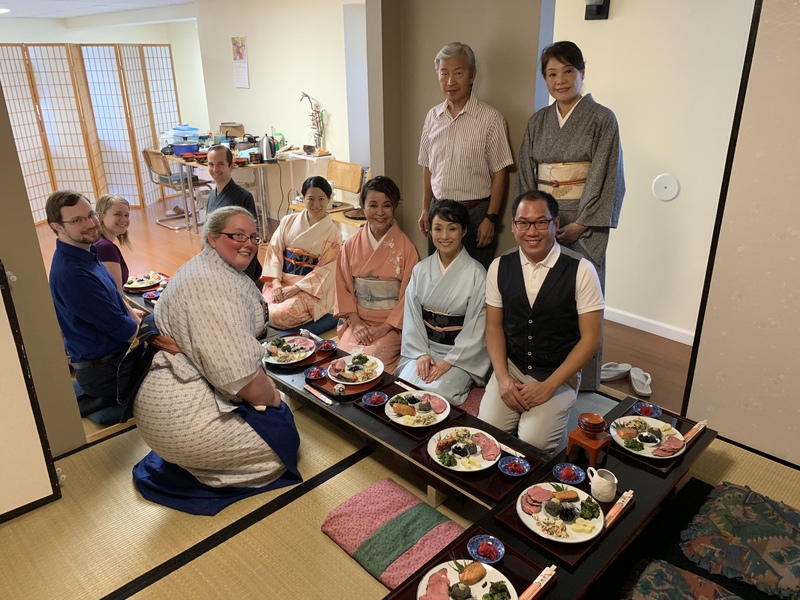 We had our yearly Ochaji ( tea ceremony with meal ) with 13 participants this year. 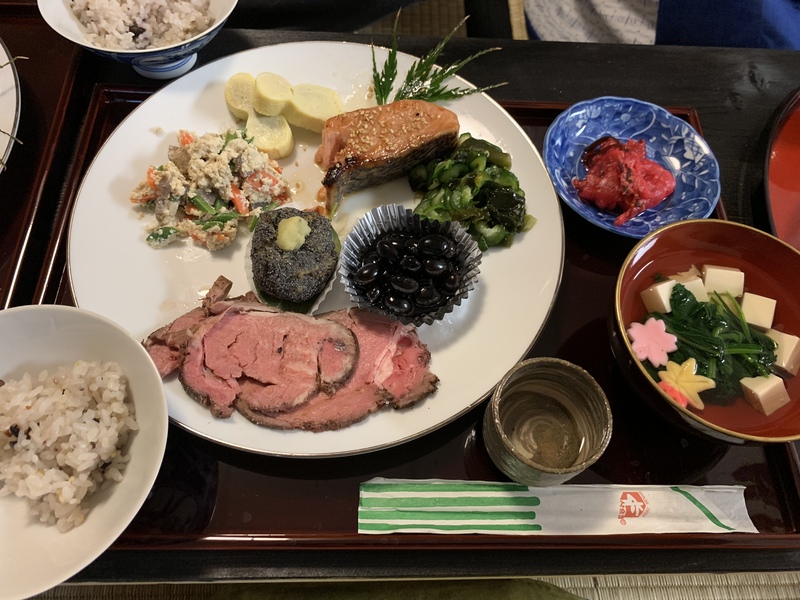 Instead of ordering food from outside, we prepared our own meal with the help of two Junsin-an students. 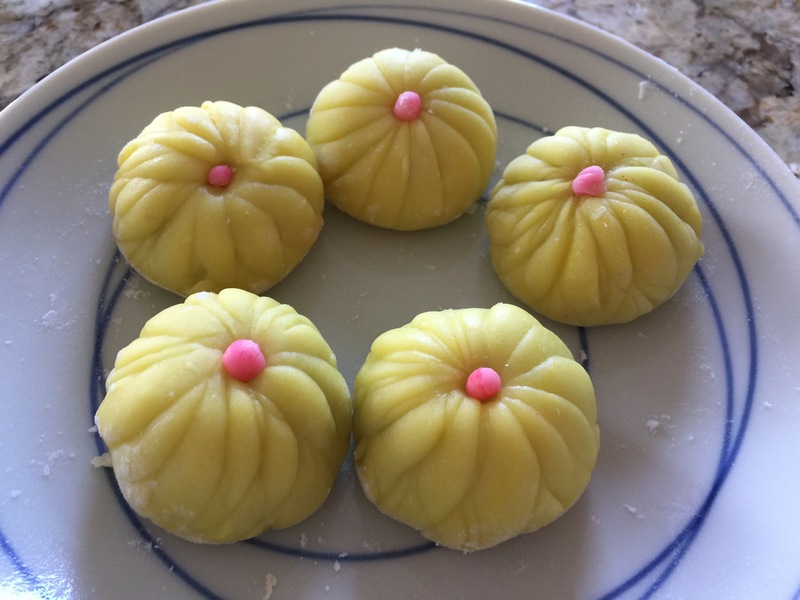 We also made our own Nerikiri sweets and named “ Kiku no Shizuku”, meaning ‘a dewdrop of chrysanthemums’ representing the season. 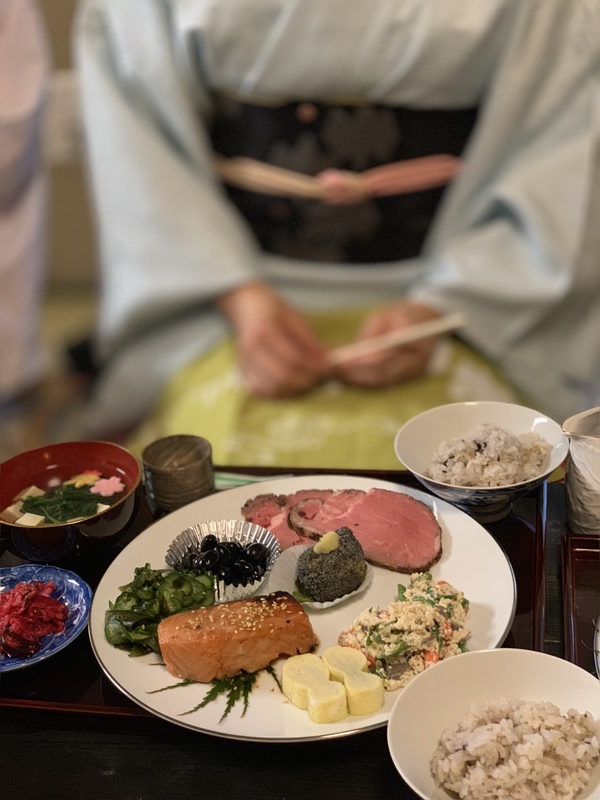 Foods and sweets were delicious and appreciated. 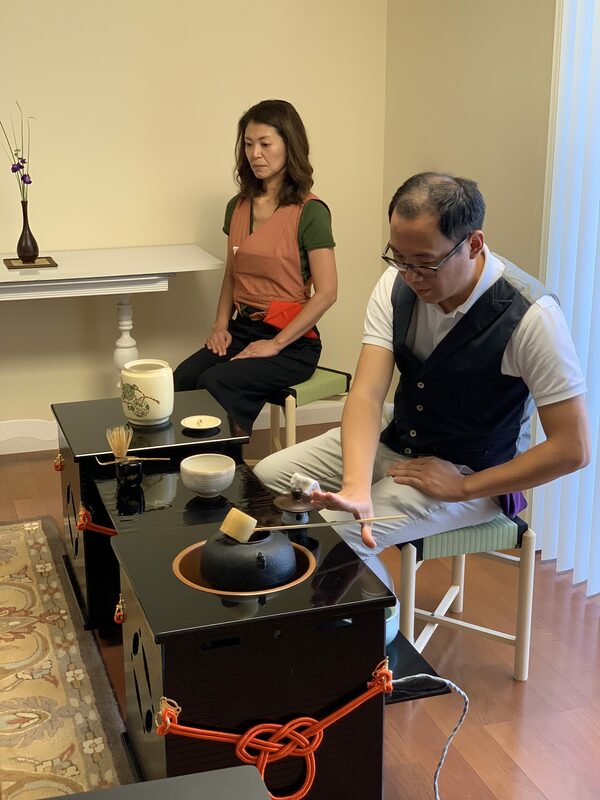 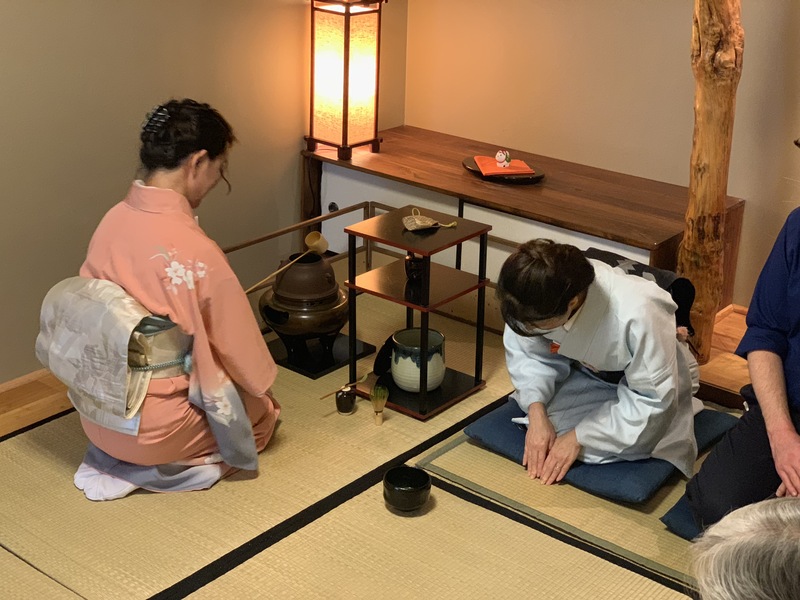 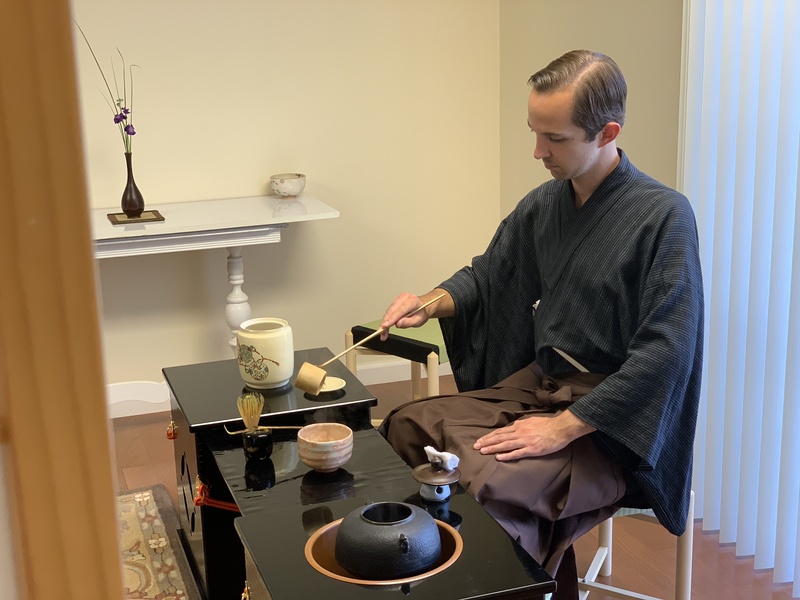 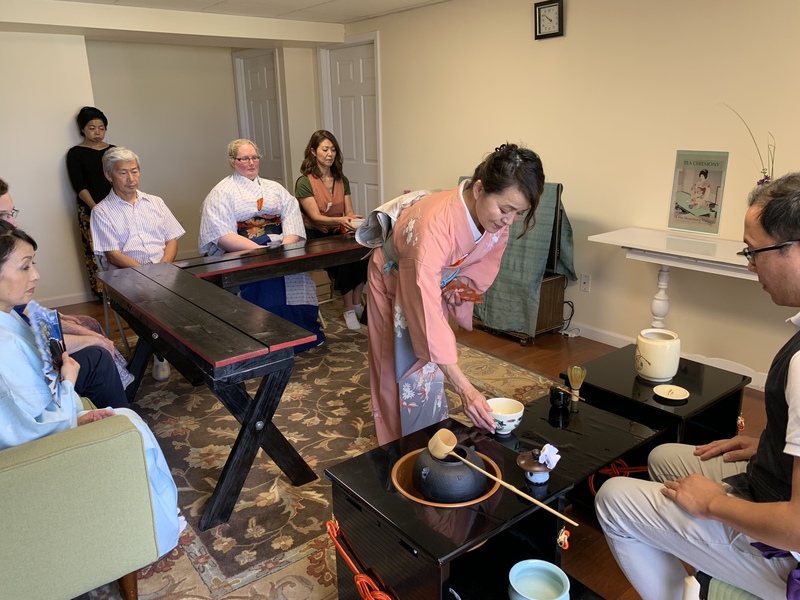 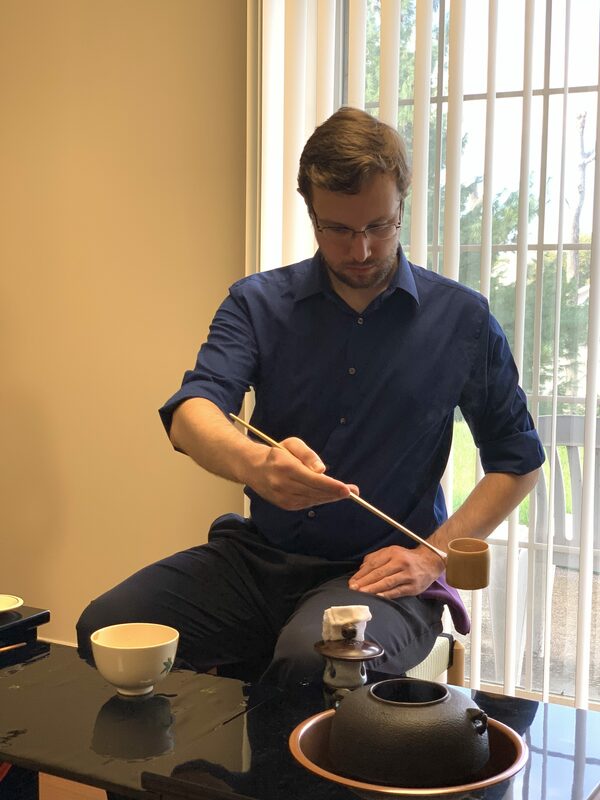 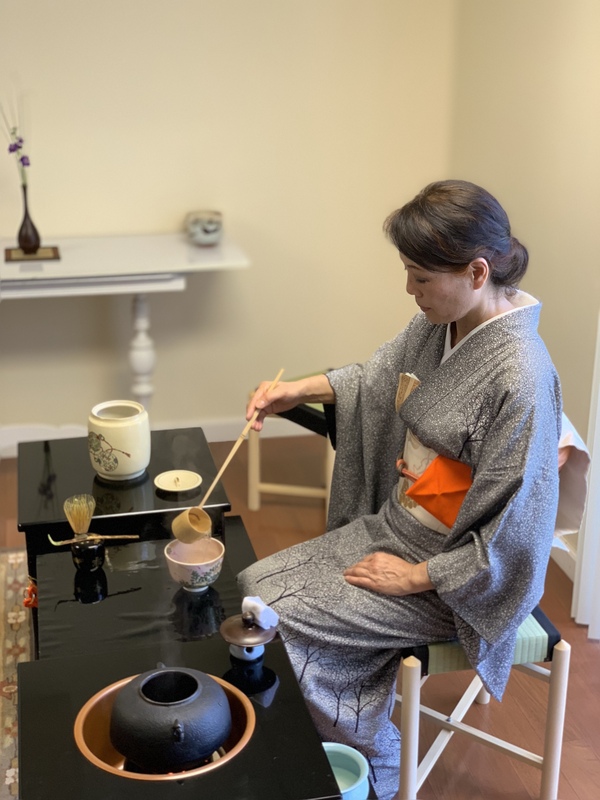 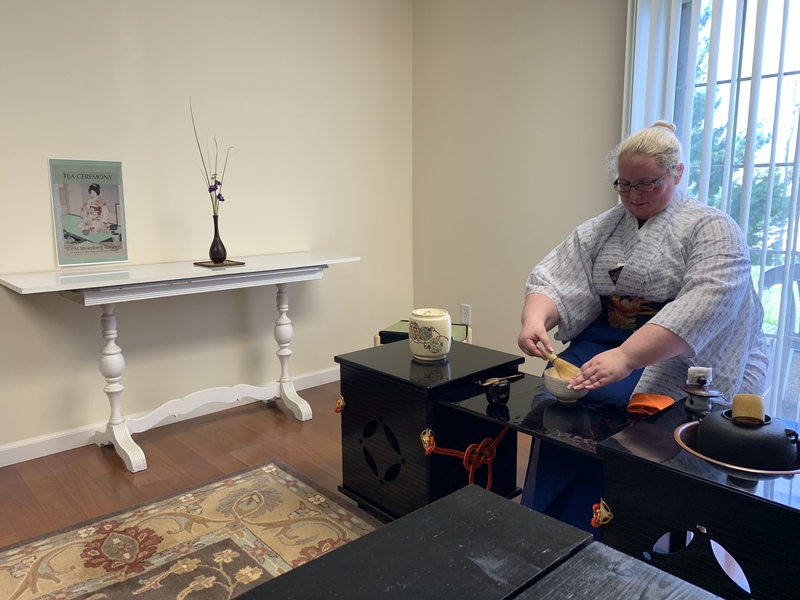 We did kasane jawan ( stucked chawan thick tea procedure) and later had thin tea in ryurei style ( host seated at the special table) with Misono dana ( Misono shelf table). 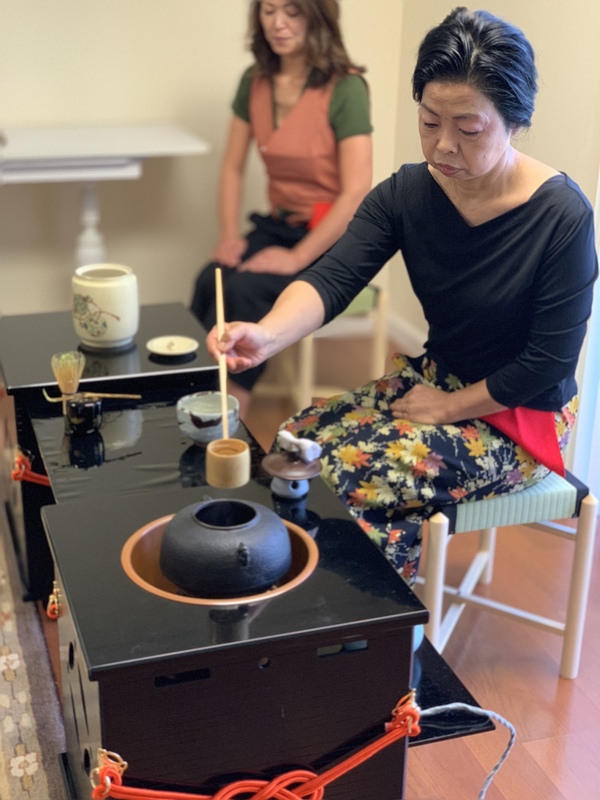 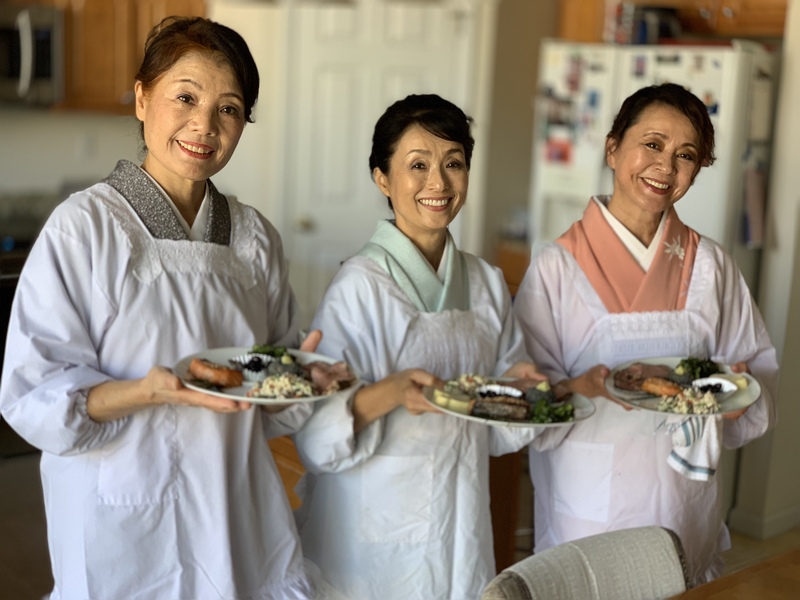 This yearly ochaji give us the chance to see everybody and enjoy each other’s tea.We spent this beautiful autumn Saturday afternoon enjoying the tea and company.